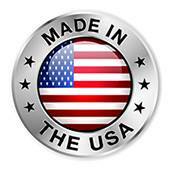 Fostermation, Inc. is committed to the manufacturing of quality products. We take every measure necessary to ensure that products leave our dock to our customers’ exact requirements. Each machine operator is responsible for their own in-process inspection, which is reinforced by roaming inspectors. All employees are trained on the use of inspection gauges and blueprint interpretation. Our quality system certifies to the ISO 9001:2008 standard. We perform SPC, when required, and routinely generate PPAP documentation. Fostermation, Inc. has made a commitment to Quality and has established a basic corporate policy that all products manufactured or services provided shall conform to specifications designed for customer satisfaction and delivered on time, as promised.